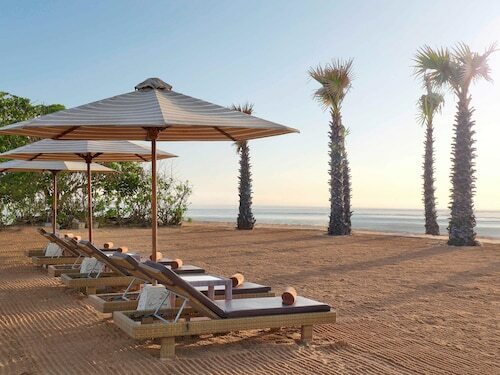 Keen to check out Nusa Dua Beach? This much loved sight is sure to knock your socks off. 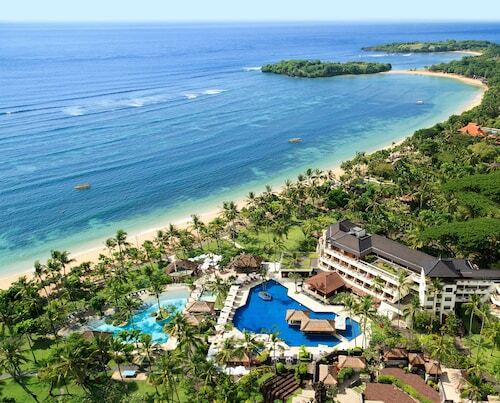 Find it in Nusa Dua, 970 kilometres from Jakarta, the national capital city. 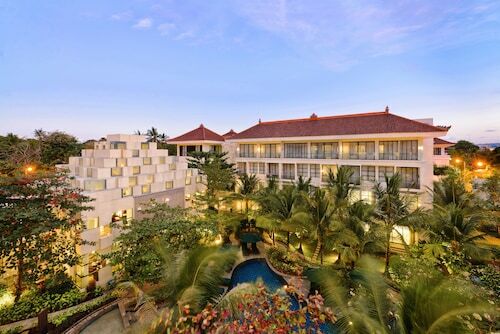 Secure a room at one of the 59 hotel options within a short drive of Nusa Dua Beach. 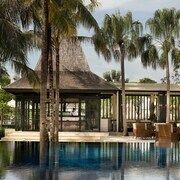 Try The St. Regis Bali Resort (2 kilometres). 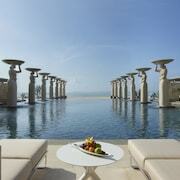 That said, the Mulia Villas (2 kilometres) and The Mulia Bali (2 kilometres) are also well recommended. Don't want to spend too much on accommodation? 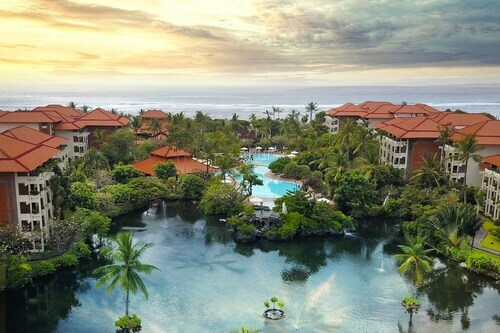 This region has all your bases covered when it comes to low-cost hotels. 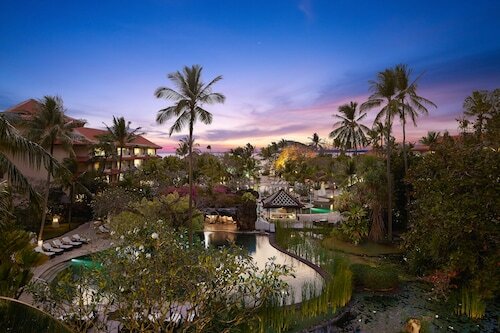 You can't pass up the Green Garden Hotel and the Grandmas Plus Hotel Legian. If you like being pampered, then why not book one of the top-quality hotels in the area? 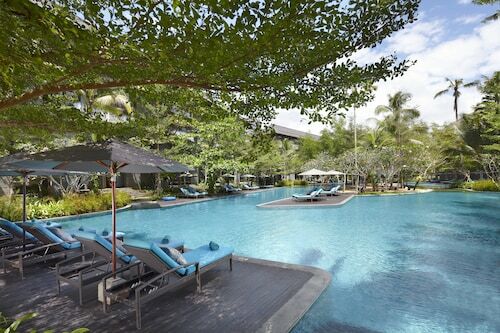 You won't regret booking the Bale or the Royal Santrian, 2 kilometres and 2 kilometres away, respectively. Order up a coffee and write a postcard at Capsicum Cafe. 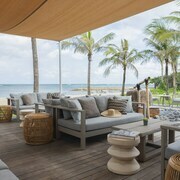 It's right near Nusa Dua Beach. 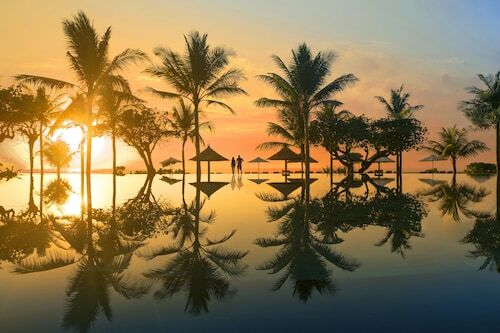 When you're desperate for some food, stop by The Laguna, a Luxury Collection Resort & Spa, Nusa Dua, Bali. After a nice drink or two? Stop by Tapas Bar and meet some new friends. 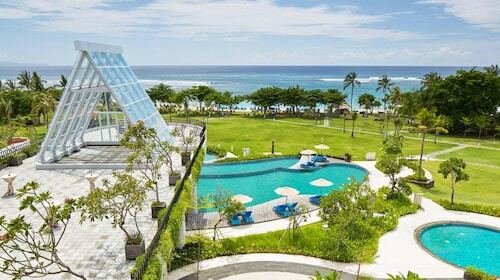 Bali International Convention Center is a custom designed space for events and meetings, conveniently surrounded by a nice range of bistros and bars. Spend a couple of hours admiring the carefully designed exhibitions at Pasifika Museum. Applaud the cast at Bali Nusa Dua Theater, a popular venue. You'll have a fantastic time playing in the surf, and meandering along the shores of Geger Beach. 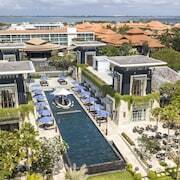 See if there's something on at Bali Nusa Dua Convention Centre. You'll be very impressed with the place! 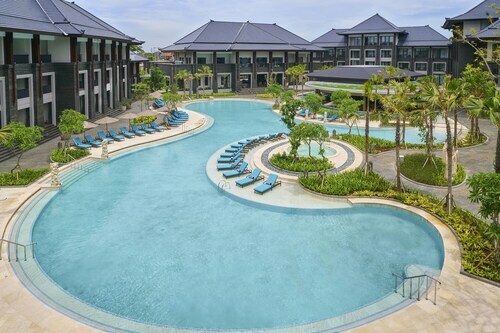 How Much is a Hotel Room in Nusa Dua Beach? 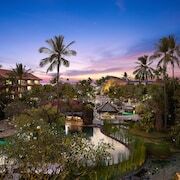 Hotels in Nusa Dua Beach start at AU$114 per night. Prices and availability subject to change. Additional terms may apply.